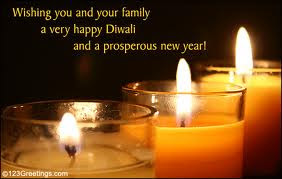 Festival of lights, celebrated at the end of Samvant Year (Hindu Calender). Celebrating victory of Godliness over evil. This is a lovely poem, with good wishes too!